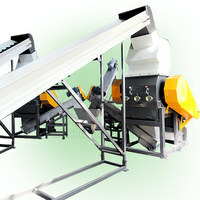 1.This high torque PET flakes granulator line is applied in PET waste flakes granulation field. 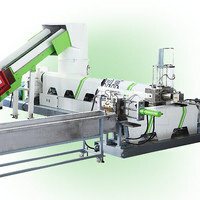 2.Through extrusion,cutting and dry process, the waste bottle will become to be pellets. 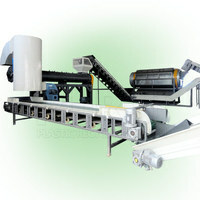 3.The pellets are widely used in plastic industry, like sheet, and profile production. 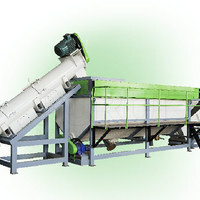 4.It can carry out ideal viscosity of PET without complicated precrystallization dryer system. 5.Only a little IV will be reduced.It can improve IV in the condition of adding some suitable additive. 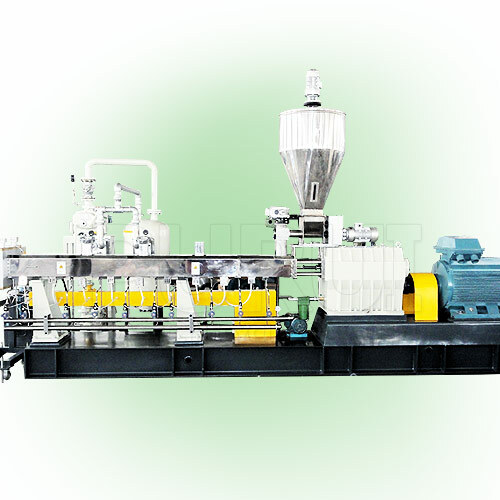 6.Our parallel co-rotating twin screw extruder specially designed for filler modified resin which have excellent mixing performance,good self-cleaning performance and flexible modular configuration characteristivs which make them suitable for processing different types of material. 3.Equipped with a force feeder and hydraulic screen changers according to material’s special character, it can get a better capacity and save more power. 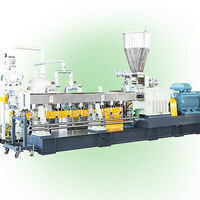 4.Vacuum or common gas exhaust system, which fascinates getting rid of damp, waste gas, impurity, and ensure a more stable extrusion and more solid pellets. 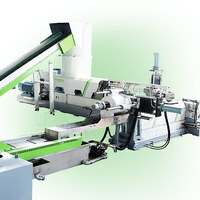 · Screw components designed by computer aids is kneading type,has excellent self-cleaning function.